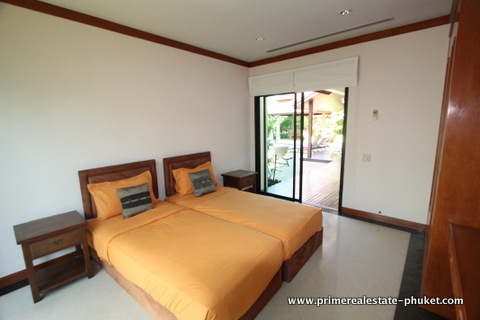 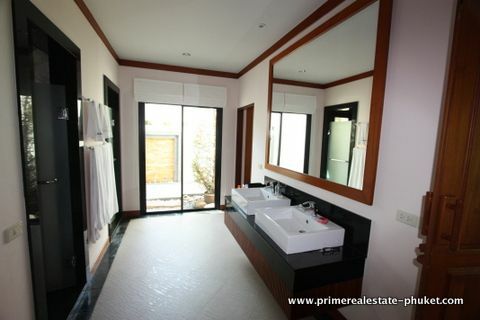 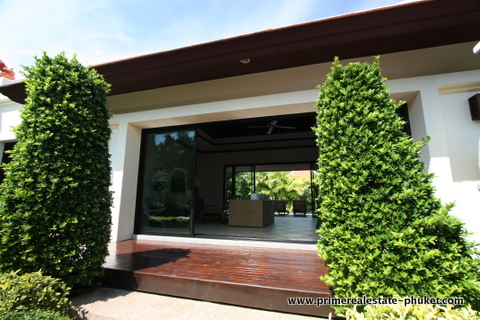 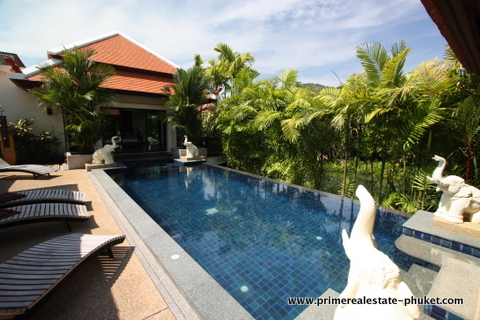 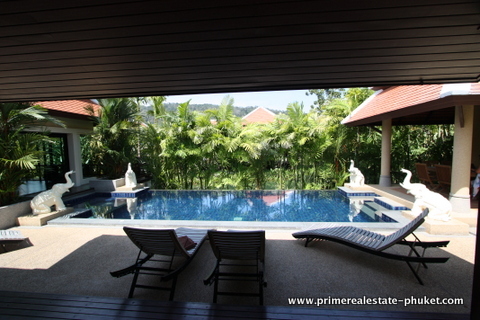 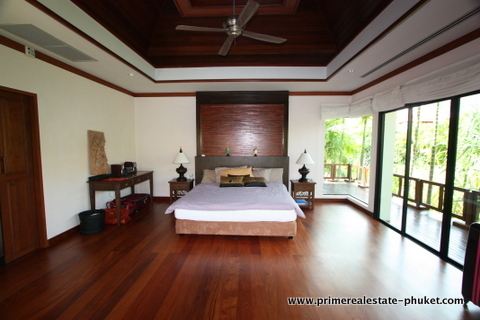 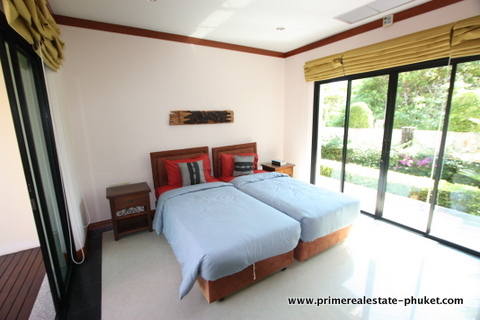 Located in the classy Baan Bua Estate at Nai Harn, just a stone?s throw from the beach and Nai Harn Village, this 4 bedroom pool villa has stunning mountain views, a chic and modern interior and a landscaped garden area with a private swimming pool with outdoor Jacuzzi, terrace and Thai Sala. 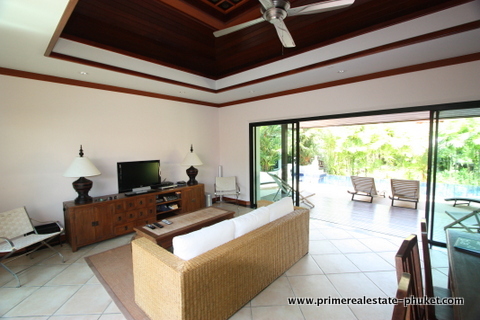 All throughout the interior of the villa, you will find a nice selection of pristine white tiled floors, wooden floors and aesthetically pleasing wooden vaulted ceilings that give the property an elegant and luxurious feel. 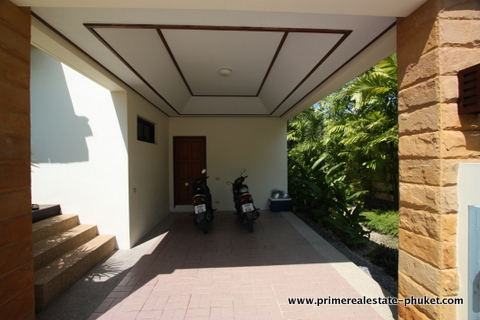 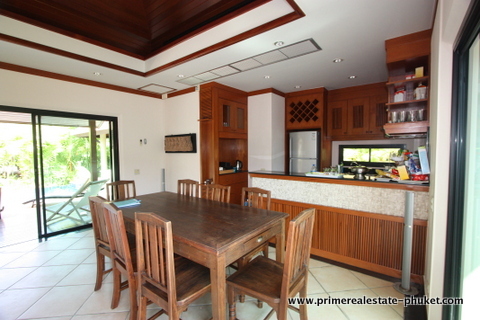 The villa comes with 4 bedrooms, 3 bathrooms, an open plan lounge/dining area, a fully equipped western style kitchen, and a utility/storage room. 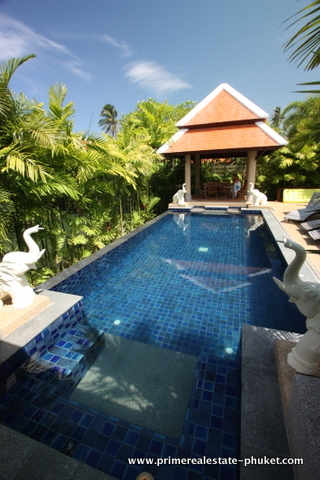 The location of the villa is just a short distance from Nai Harn Beach and Nai Harn Village with Rawai be a little further away. 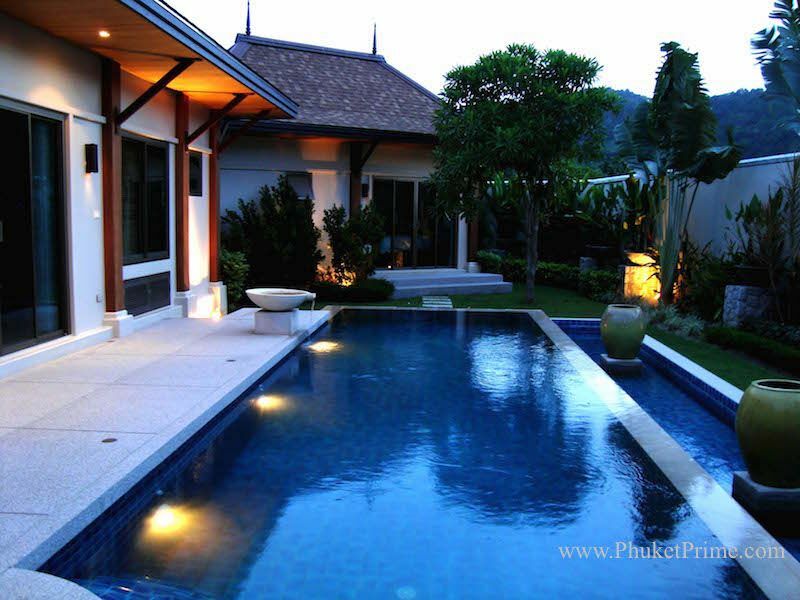 This part of Phuket on the southwestern coastline is one of the most beautiful and laidback destinations on the island. 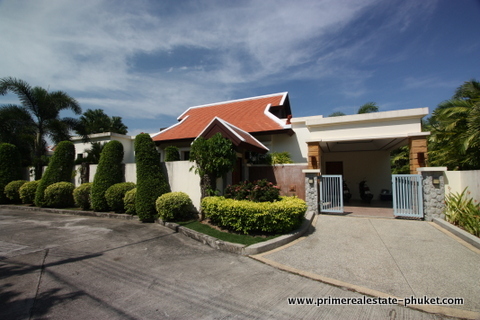 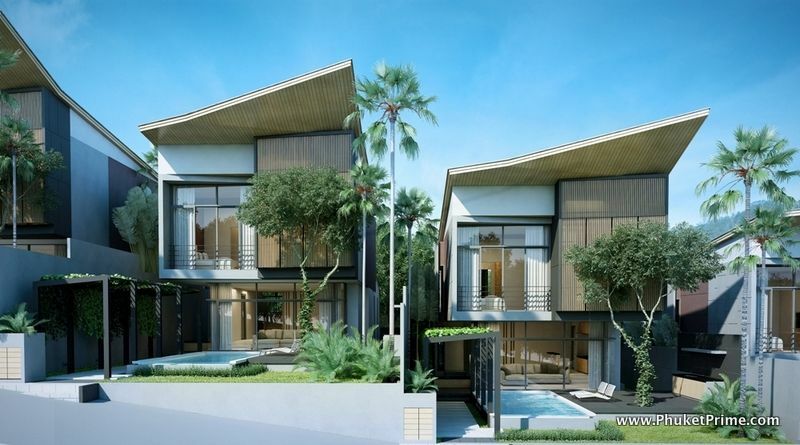 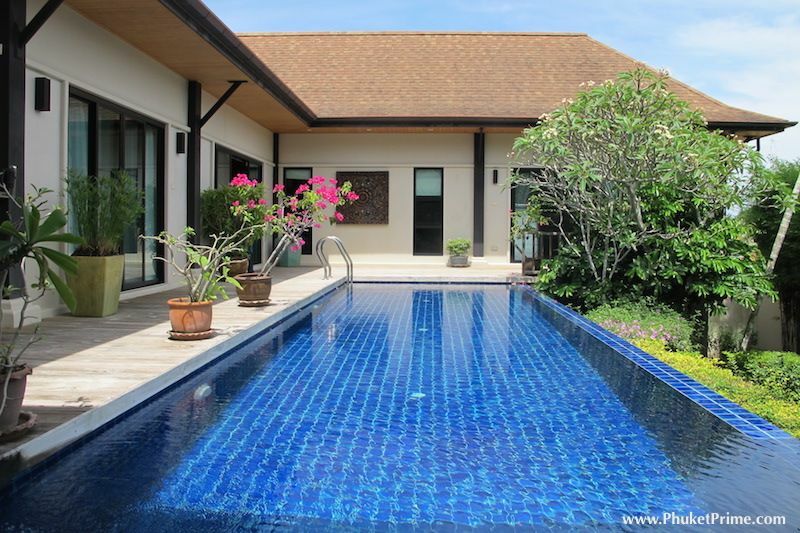 Situated in the heart of this popular gated community with 24 hour security, the villa is available to buy for the price of 18 million THB.